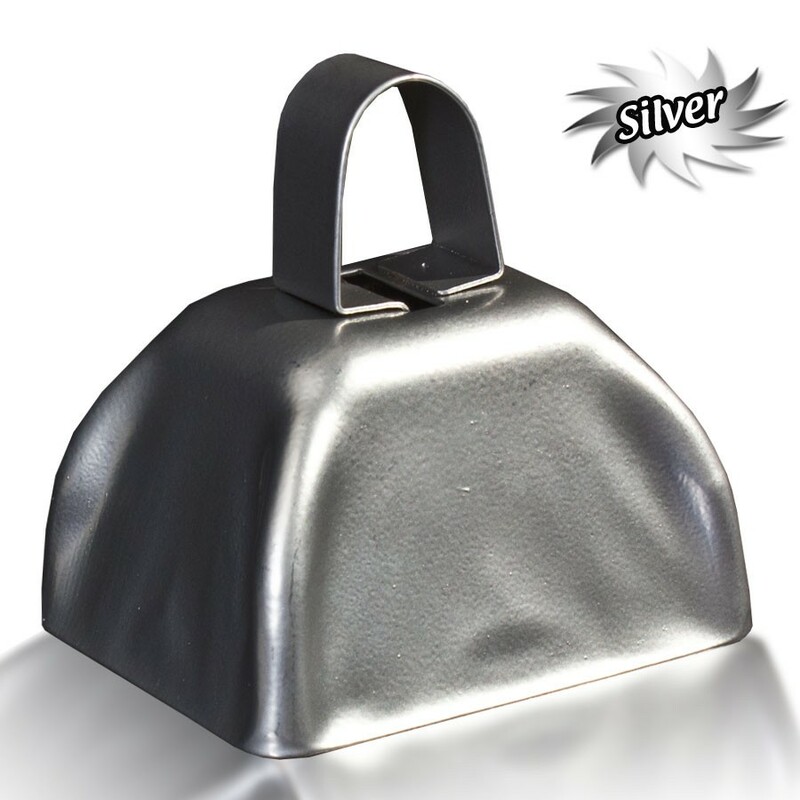 Quick Info: Everyone needs more 3" Silver Metal Cowbells! Is your latest marketing campaign suffering from a fever? The only cure is more Silver Cowbell! 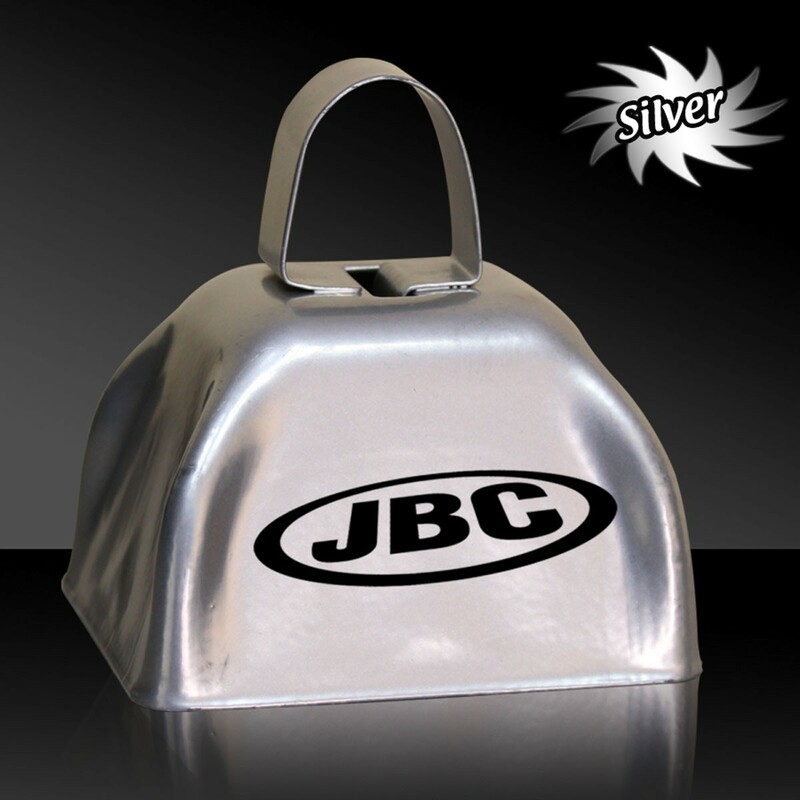 A great way to express your enthusiasm from the stands, this boisterous noisemaker measures 3", is offered in an assortment of colors and can be customized with a logo, brand name, or other advertising message. 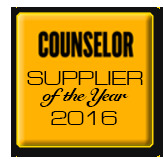 It's a great promotional product for pep rallies, stadium giveaways, corporate events, fundraisers, and more. Never lose track of your herd of clients with this colorful and fun item!